Now that we’re officially in the midst of all things spring, it seems like a good time to showcase a classic floral wedding cake. Today’s cake is perfect for your spring wedding – it is elegant and classic and features a cascade of fresh roses and greenery. 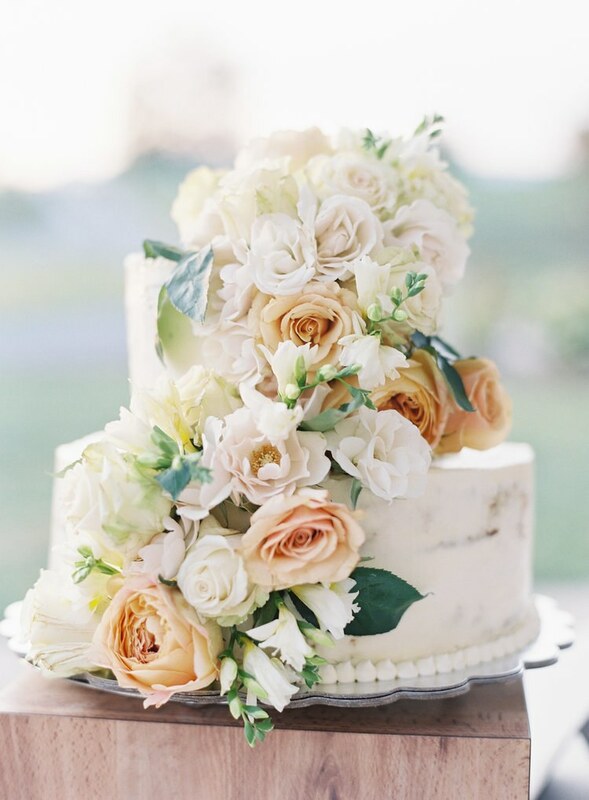 The two-tier cake is light on icing – almost a naked cake, but not quite – but the addition of the assortment of fresh roses adds the perfect amount of color to this subtle cake. Of course, if you were looking for a bigger pop of color you could always opt for brightly colored roses perhaps in shades of red or pink. But these white and light pink roses are quite lovely. You’ll find this cake here. It was created by Southern Inn Restaurant.